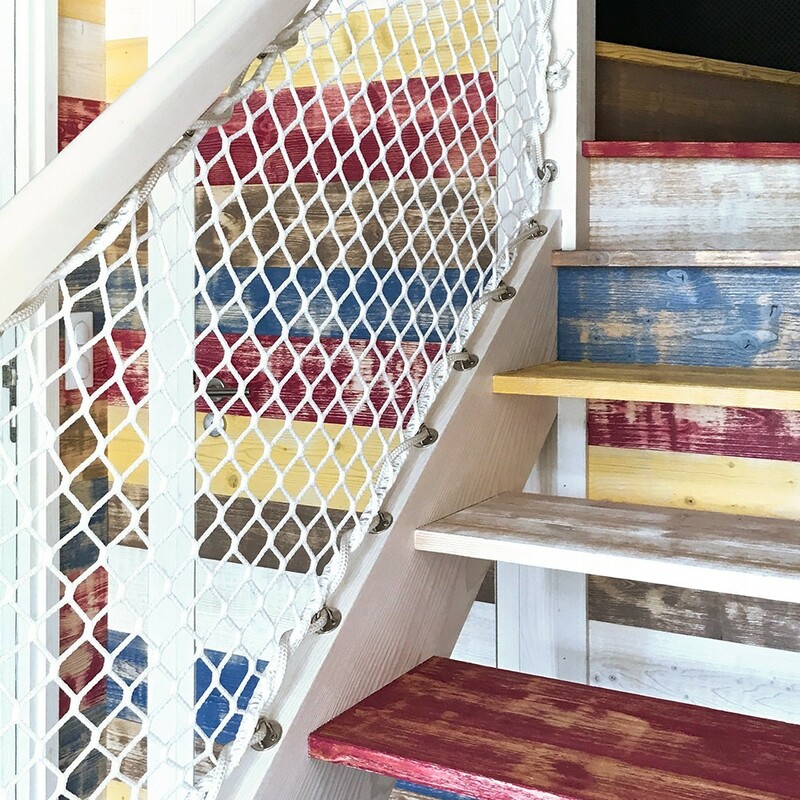 Add a designer touch to your staircase, will providing maximal safety thanks to our outdoor made to measure house nets. Ultra-resistant, these safety nets discreetly provide protection for chilmdren and adults. They are made to measure, according to the measurements you send us. - We recommend 2 types of netting for staircase railings : F5050N and F6060N. Both are made with knotted netting, assembled with a finer and wider net than that used for a braided net. This allows light to pass through and makes the net more discreet. - F5050N and F6060N nets are made with 530 g/m² polyamide and both have the same high-performance features making them resistant to outdoor conditions. Both are also protected against UV light and made to resist against harsh weather. For example this netting is used on catamarans. - In terms of safety, they can withstand up tp 200 kg/m² : they can therefore hold back an adult or a child they may fall on the stairs. - Choosing one netting or the other will be a matter of taste as both are very similar. 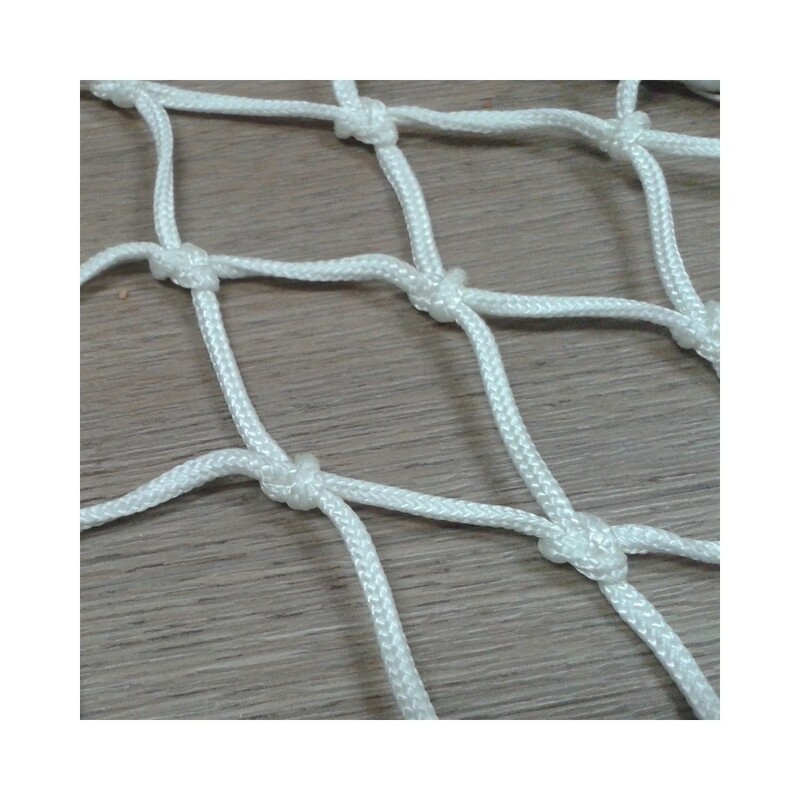 - F5050N netting is provided in white with 50 mm mesh. 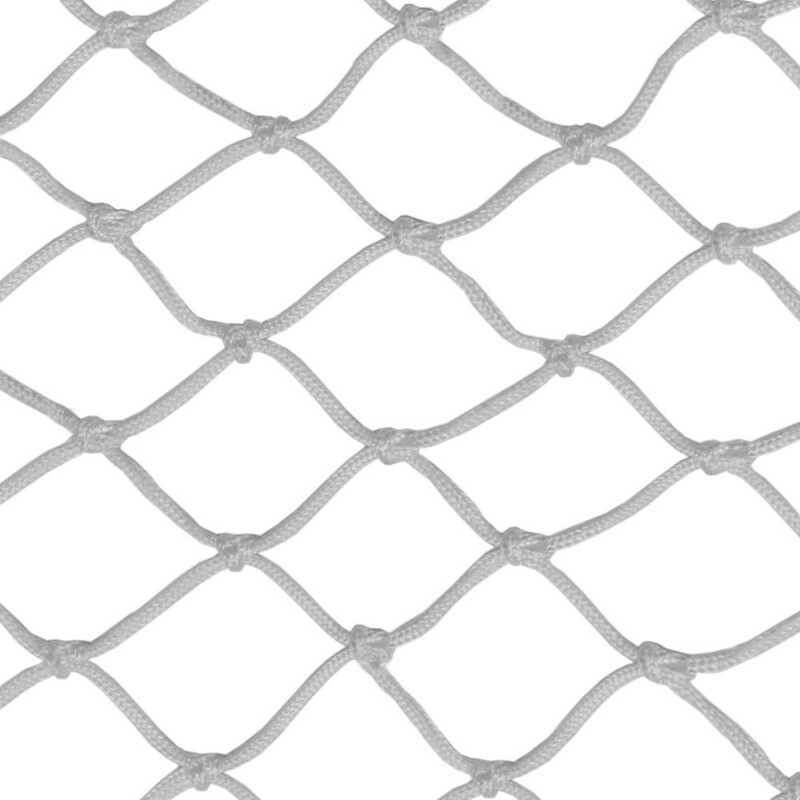 - F6060N netting is made with 60 mm mesh and is provided in black. - Both nets can be made without a bolt rope. Please note that on a vertical net it is possible to attach the netting directly onto hook.